What is SSL and why does my website need it? Wondering what all the SSL fuss is about? You may have noticed a lot of recent talk about how you can improve your search engine ranking (when people look for your kind of business in Google, for instance) if your site has an SSL certificate. And it’s true. SSL certification isn’t actually a new thing, though. It’s been around for years, but with the ever increasing risks of identity theft and cyber-attacks, it’s becoming so much more than an SEO tactic. It demonstrates that you’re a responsible business owner, who takes a professional attitude towards protecting their customers. Anyone with an SSL certificate has to be checked and approved by the authority who issues the certificate. It also means you will appeal to more shoppers (particularly the savvy ones). Safe sites are clear to see because their URL will start with the prefix HTTPS (and not just HTTP). Given the choice a buyer will opt for a site with a padlock or HTTPS prefix over one without. Having an SSL certificate on your site is also great protection for your own information. If you’re offering a special promotion or a discount voucher this extra security protects the details which are sent and received. And any external threats from hackers are prevented. It tech-speak for Secure Socket Layer and it’s basically security technology that’s added to your website 9usually via your web hosting provider) to keep information safe that’s passed between buyer and business owner. If you’re requesting credit card details, payments, bank transfers or any kind of personal information (remember the Data Protection Act? ), an SSL is your extra layer of security so that potential purchasers know you’re trustworthy and no one outside of your business can get their hands on any financial/personal details that they share with you. Do all small businesses need SSL? SSL can now affect how Google and other search engines view your site. If you do not have a certificate they may show a security pop up and users will be unable to get onto your site, it also shows visitors that you are a trusted and reputable business. When should I set up my SSL certification? 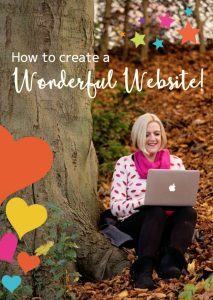 In my opinion that as a small business you should action this as soon as you can particularly if you have an e-commerce website for your business. I hope that’s helped clear any fog you may have had around this subject, and if you’re about to rebrand, or update your website, and you’d like some help to branch out with SSL, then just let me know.